Competition : What is Gordon Thinking? Not a caption competition this today (that is tomorrow). 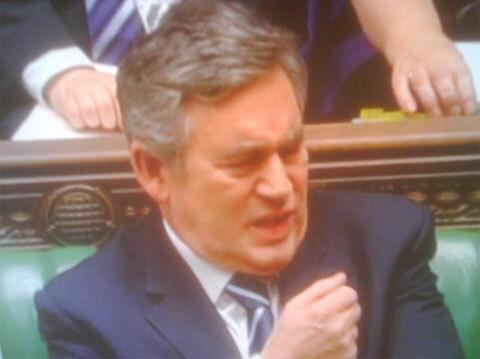 For context you should know that this snap was taken from yesterday’s PMQs and was kindly sent in by a co-conspirator. Guido will send a copy of the book “Crap MPs“ to the composer of the best 4 5-line limerick conveying the circumstances surrounding this picure.